Unwind in elegant surroundings in the fully refurbished superior rooms which balance comfort with modern amenities. 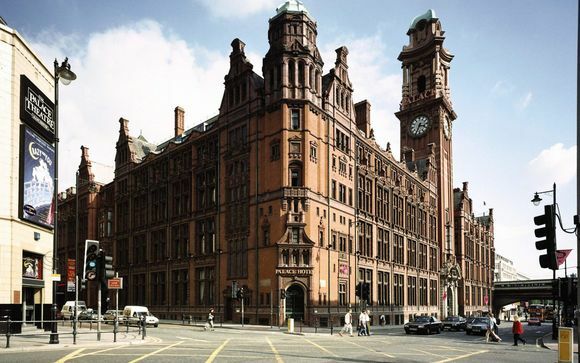 With its clock tower and striking Victorian architecture, The Principal Manchester is an unmistakable landmark in the city's skyline. 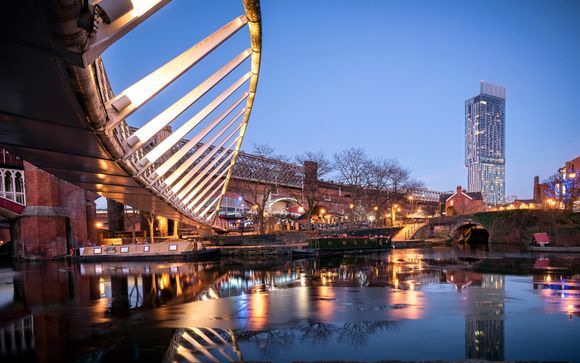 Manchester is a distinctive and lively city, and with your central location, you are perfectly placed to explore any part of it. While you're there, visit the National Football Museum, where you can explore the world's finest collection of football artefacts and archives in one of football's greatest cities. Or try the People's History Museum, charting the history of the struggle for equality and democracy in the UK, perfectly reflecting Manchester's radical roots. - Single Guest Room (15m² / max. 1 person): These rooms are perfect for the single traveller who wants to holiday in style. - Double Guest Room (20m² / max. 2 persons): These rooms feature artwork that allude to Leeds industrial past & beautral deocr that gives the room a refreshed and light feel. - Superior Double Room (20m² / max. 2 persons): Unwind in elegant surroundings in these fully refurbished rooms which balance comfort with modern amenities. - Deluxe Double Room (25m² / max. 2 persons): These rooms feature large windows that bathe the room in light, while its large statement mirrors create even more space. - Deluxe Twin Room (31m² / max. 4 persons): The beautifully refurbished deluxe room combines elegant design and custom detailing to create a spacious retreat for families or a group of friends in the heart of the city. - Guest Room with 2 Double Beds (31m² / max. 4 persons): These rooms are perfect for larger groups who want to enjoy that little bit more space. - Superior Room with 2 Double Beds (31m² / max. 4 persons): These rooms feature all the elegance & style of the hotel's other rooms with even more space for you to spread out in. - Junior Suite (37m² / max. 2 persons): Suites at The Principal Manchester have listed interior details and bags of space in which to settle down and make yourself at home. 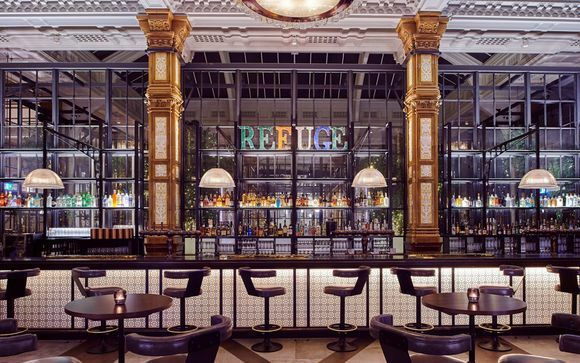 A major success story on the Manchester food and drink scene, Justin Crawford and Luke Cowdrey, have joined forces with The Principal Manchester to curate The Refuge Dining Room & Public Bar. Using the best ingredients the North West has to offer, the restaurant's chef takes inspiration from around the globe - with a few stops closer to home. Your hotel is approximately 1min / 50m from Manchester Oxford Road Station.